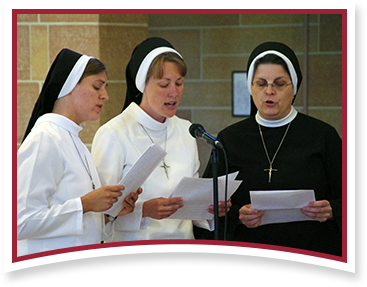 The sisters of the Apostles of the Sacred Heart of Jesus strive to imitate the first apostles in building up the Body of Christ, and that means we’re pretty busy! Visit the pages below to see all of our various calendars and special events, information about our volunteer program, faith formation resources, and more. And please feel free to contact us for more information or with your prayer requests.